Zimbabwe is truly a world of wonders. 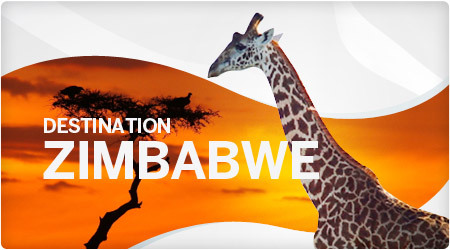 If you're looking for adventure, warmth and culture; Zimbabwe is a journey worth taking. You may want to start your trip in Harare, the capital, to stock up on last minute supplies and enjoy some fine dining and African cuisine. Moving onto The Eastern Highlands, which hosts magnificent mountain ranges and for interested adventurous travellers, hiking through the Eastern Highlands could be a safari highlight. This is also home to the Bvumba Botanical Gardens which contain trees and shrubs that have been gathered from all over the world and a lake with giant water lilies. Just a short drive away lies the bustling town of Mutare and Africa's second highest and very much understated Bridal Falls of Chimanimani. A little way off the Eastern Highlands is an undiscovered desert oasis offering hot pools containing waters with high therapeutic minerals. The area offers many activities such as ; hiking, swimming, golf, horse riding and a little shopping from some local artefacts, sculptures and knitwear. The Shona and Ndebele cultures are abundant and locals are open and gracious to all tourists who visit. If you've ever dreamt of Africa, your dream no doubt included lions, elephants, remoteness and the wilderness. The Mano Pools National Park is the epitome for this dream of the wild and adventure. The four pools are inland from the Zambezi River and host large populations of hippopotamus, crocodiles and a wide variety of aquatic birds for the keen ornithologist. The landscape surrounding the Mano Pools is a favourite for elephants that emerge from the thickly vegetated areas in the south. The walking and open car game drive safaris are excellent ways to explore the landscape; and the water adds an interesting dimension to the exploration and is especially ideal for canoe safaris. From the water you can travel up the river where you can view the changing landscapes and the animals that inhabit them. Big buffalo are always about but their predators such as lions, leopards and cheetahs are always lurking adding the element of danger and being in the wilderness. No Zimbabwe trip is complete without experiencing the breath-taking views of The Great Victoria Falls. Victoria Falls, also known as the smoke that thunders, is one of the Seven Wonders of the World, with many activities for you to fill you day. For the adrenaline junkie there's bungee jumping, white water rafting and the gorge swinging. You may also see the majestic falls on a helicopter flight where the interior is designed to give the passenger the optimum view of the falls. Elephant back rides and lion walking at sunset add a sense of beauty, calm and appreciation for nature's wonder. As part of our growth plans on the African continent, SAA will add new service to Abidjan, Cote d'Ivoire (Ivory Coast) and Brazzaville in the Republic of Congo from our hub at Johannesburg O.R. Tambo International Airport. 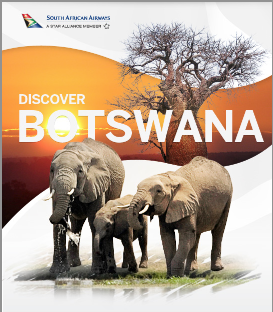 Twice-weekly flights between Johannesburg and Abidjan will be launched on August 17, 2012 and twice-weekly flights between Johannesburg and Brazzaville will start on September 13, 2012. The addition of these new destinations will give business and leisure customers more convenient travel options to/from SAA's global network that traditionally have been difficult to reach by air. SAA is focused on strengthening its intra-Africa network by adding these destinations to its already vast route system on the continent. New service to Abidjan and Brazzaville will join the other new destinations that SAA has introduced over the last seven months, which include Ndola, Zambia; Kigali, Rwanda; Bujumbura, Burundi; Pointe-Noire, Republic of Congo and Cotonou, Benin. SAA's extensive route network in Africa of over 45 destinations makes it easy and convenient to travel throughout the continent, whether on business or holiday. And all along the way, our customers enjoy SAA's warm, legendary South African hospitality. Passengers using South African Airways' newly opened First Class Lounge at Johannesburg International Airport can expect a culinary experience worthy of this sophisticated haven. "The African theme, which runs through the entire concept, has also been used to great effect in the food and beverage areas," says Madelain Roscher, Senior Manager: Corporate Communications at SAA, Says Owen Jullies (Manager, SAA Menu Design and Beverage Selection): "In line with the overall design concept the lounge offers a range of sophisticated dining options." The First Class Lounge offers nothing less than a five star dining experience that uses only the finest and freshest of ingredients - smoked salmon imported from Scotland, fresh from the waves seafood, crispy salads and top grade butcher's cuts. Ingredients are innovatively prepared in a 'Fusion' style menu that melds the flavours of the world, in a uniquely South African style. Ail conspire to provide travellers using the lounge with a superb dining experience. "Dining options at the lounge include breakfast, high tea, an all-day snack service and - most unusually - an a la carte menu," says Roscher. The breakfast buffet offers an array of options such as freshly baked croissants, muffins and Danish pastries, a selection of cereals, and fresh fruit juices. There 411 also be the traditional breakfast made to order. Attention to detail is evident in the innovative menus where international dishes are enhanced with unique South African accents. Passengers perusing the a la carte menu will be able to choose from dishes such as the Fusion, Fillet sandwich (sliced pepper fillet cooked a la minute and served on rye bread) - a light curry of crispy fresh prawns, a salad that drapes luscious Scottish smoked salmon over a selection of garnishing or even an Indian-inspired Biriyani pasta, Vegetarians, vegans, halaal and kosher passengers will also be catered for. "All our First Class passengers are contacted by our public relations office the day of departure. This is an ideal opportunity to ensure that we cater for their dining preferences during the time they spend with us in the lounge," says Roscher. The First Class lounge has full bar service, as well as a chef and a team of waiters on duty seven days a week. Renowned interior designer Paul Smith of Blacksmith Interior Design Consultants designed the interior of the luxurious lounge. Apart from the innovatively designed seating areas, other facilities include lavish shower rooms, a soundproof reading room, a smoking room, five soundproof snooze rooms, and a business centre with international telephone, computer and Internet facilities. The best part of summer? Longer days, more time to spend in the Winelands and the sensational Summer in Stellenbosch Valley 2012 which takes place from 8 to 17 December. This not-to-be-missed holiday highlight takes care of your festive season entertainment when participating wineries in the Stellenbosch Valley � a sub route of the Stellenbosch American Express� Wine Routes � treat holidaymakers and locals alike to a jam-packed programme of fun, feasts and festivities for young and old. 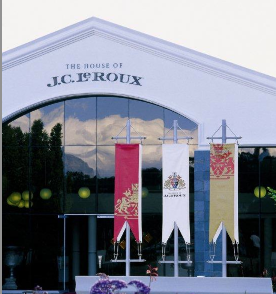 A foremost Winelands destination, Stellenbosch Valley is home to a myriad of renowned wine estates, hotels and restaurants such as Asara, Spier, Brenaissance, Zevenwacht, Jordan, Middelvlei and The House of JC Le Roux and was crowned South Africa�s finest winegrowing area at the Novare SA Terroir Wine Awards 2012. The diversity of the wine producers in the valley offers a unique wine experience, as they range from small boutique wineries to iconic wine brands and boast scores of local and international accolades for their wines. Besides award-winning wines, the 2012 Summer in Stellenbosch Valley line-up features an exciting �bucket list� of attractions including authentic pairings, markets, braais and entertainment for all tastes and ages. Highlight events on this year�s programme include an authentic Asara Pure Food Christmas Market on 17 December when selected food purveyors will be selling their seasonal delights for you to top up the larder in style. With tables brimming with organic vegetables, gourmet sausages, local cheeses and artisan beers, this market day is ideal for that last minute Christmas Shopping and with live music and loads of kiddies entertainment it is a perfect day out for the family. Brenaissance invites guests to their new Caf� Blanc de Noir eatery for an interactive Wine & Pizza Pairing Evening on 13 December when estate wines will be expertly paired with a selection of homemade, gourmet pizzas. With vibey music, pizzas, beer and wine to revel in throughout the festival, Brenaissance is the perfect spot to extend your summer sojourn in the Winelands and linger a bit longer in the valley whilst mingling with the local folk. Zevenwacht Estate will host a royal six course Food & Wine Pairing Dinner on 12 December when the winemaker will pair rare wines with the chef�s signature dishes. The estate will also entice visitors with Chocolate Truffle & Wine Pairings throughout the festival. Whether you need to impress the in-laws, spoil those overseas guests, keep the little ones busy during the school holiday or simply just want to escape the maddening festive rush, Summer in Stellenbosch Valley is your holiday survival guide and a ticket to the good life. Connect the dots and WIN BIG! You also stand the chance of winning a car boot full of Stellenbosch Valley wines if you collect 10 orange dots during the festival � the dots you will earn when you participate in events, buy wine, or have lunch at participating restaurants en route. 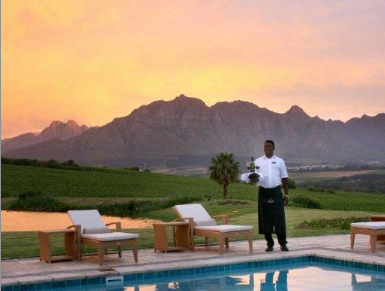 For more information about the 2012 Summer in Stellenbosch Valley contact the Stellenbosch American Express� Wine Routes at Tel: (021) 886 8275; send an email to events@wineroute.co.za, or visit www.wineroute.co.za. 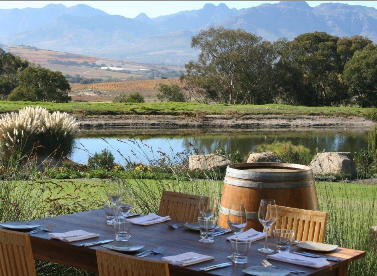 You can also follow Summer in Stellenbosch Valley on Twitter @SBoschValley and Facebook.